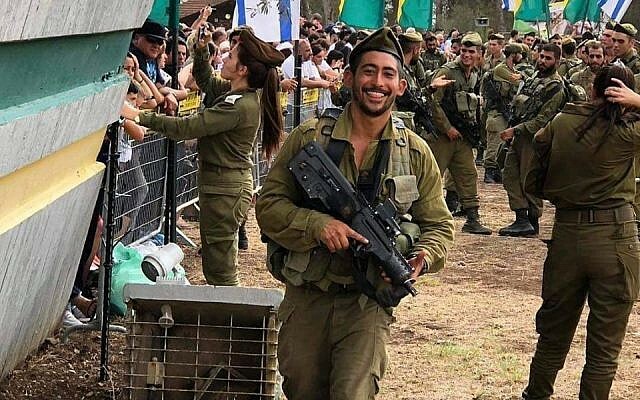 Over 1,000 people attended the funeral of an American lone soldier in the Israel Defense Forces on Thursday, hours after a call went out on social media urging those who could to make it. Alex Sasaki, 27, of Laguna Beach, California, was found dead earlier this week from a drug overdose, an official from the Keep Olim NGO who knew him told The Times of Israel. 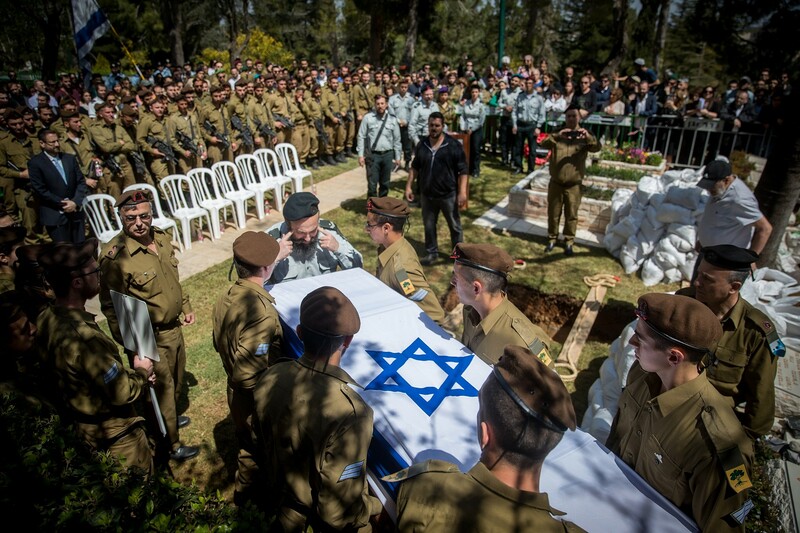 His funeral was held at the Mount Herzl military cemetery in Jerusalem. “He called me on my birthday… to say that he got Golani. He was so excited. He tried so hard to get in. It took him 16 months after making aliyah,” his mother, Shelly, said during her eulogy. “He didn’t complain once. Never about how cold it was. He was on the border in the north and never complained that he was cold and lonely. Ever,” she said. Sasaki’s friends launched a social media campaign to ask people to attend his funeral since his unit was called up and stationed at the Gaza border due to the recent rocket attacks and rioting. 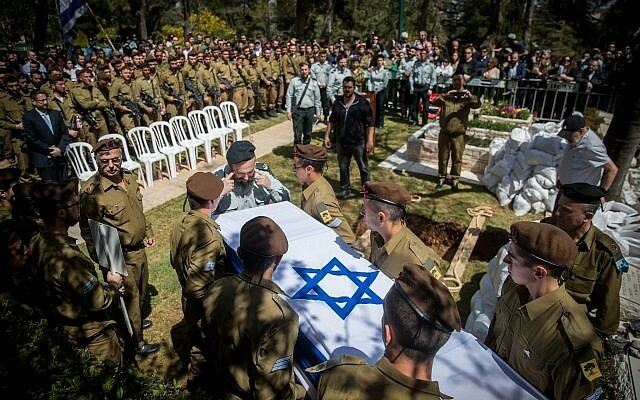 Many other Israeli soldiers in the Jerusalem area attended the funeral, as well as total strangers. The posts also urged people to visit the soldier’s parents at a hotel in Jerusalem where they were sitting shiva after flying to Israel for the funeral. While the IDF said it was still investigating the circumstances of his death, the Keep Olim group, which assists new immigrants to Israel, suggested the circumstances were mental-health related and that the IDF had not done enough to help Sasaki. In the letter, she cited figures from the Central Bureau for Statistics, which found that roughly a third of all suicide cases in Israel over the past year involved new immigrants. 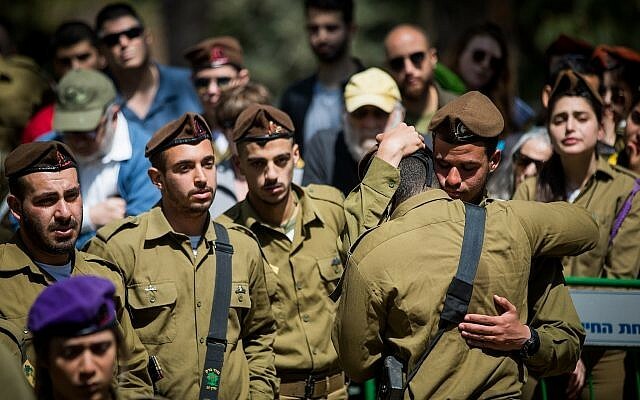 “However, my attempts to get accurate information regarding how many soldiers committed suicide in recent years have yielded unclear and evasive answers (from the IDF),” Svetlova wrote. “I say to young Jews in the Diaspora — do not enlist if the state does not start caring for you!” she tweeted. Speaking to The Times of Israel, Keep Olim’s Graiver pointed out that no suicide hotline exists for non-Hebrew speakers and that the mental health officers in the IDF are not even psychiatrists. The IDF did not immediately respond to The Times of Israel’s request for comment. There are approximately 6,800 soldiers currently serving in the Israeli army who are recognized as either not having parents in the country or not receiving financial support from home. Most of the troops who fall in the former category are new immigrants who moved to Israel alone, while the latter group is generally made up of native-born citizens from underprivileged backgrounds.